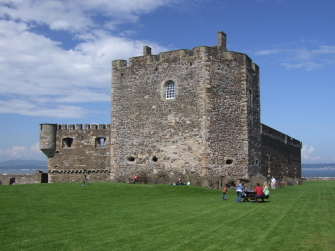 Blackness Castle was used as a prison during the years of the Covenant, in particular the 1670s and 1680s. On 3 June 1680 soldiers from Blackness Castle went to Queensferry and tried to arrest Henry Hall of Haughhead and Rev Donald Cargill, who where at a house in Covenanter Lane, there. Only Hall was taken, Cargill managing to escape. The castle is regularly open to the public. You can check opening times and admission prices on the castle website.